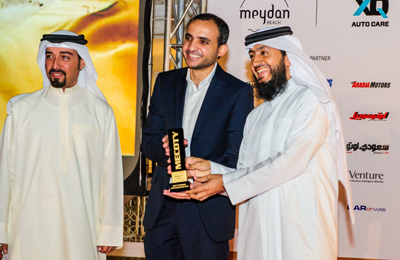 Jaguar Land Rover ..... wins two awards at the 2014 Middle East Car of the Year Awards (Mecoty). Jaguar Land Rover, a leading automobile company which specialises in four-wheel-drive vehicles, has won the ‘Best Premium Coupé’ and ‘Best Premium Performance SUV’ awards, at the 2014 Middle East Car of the Year Awards (Mecoty), held in Dubai, UAE. The company’s dynamically capable and most performance-focused model to date, the Jaguar F-Type Coupé, received the ‘Best Premium Coupe’ of the year award. The Jaguar F-Type Coupé has garnered wide regional attention since being unveiled in 2013, with its advanced design and technology, said a company statement. The Land Rover also received the ‘Best Premium Performance SUV’ award, for the Range Rover Sport, one of its best-selling models in the region. The Range Rover Sport delivers the brand’s best on-road dynamics, together with top all-terrain capability, it added.